Micki! I love your new blog! 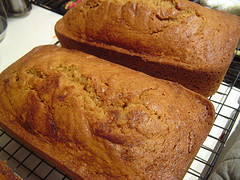 I am going to make your pumpkin bread this week! I need to get those smaller pan sizes though. I only have big bread pans and I don’t really like them. Thanks for the great recipes! I can’t wait until your book is out!